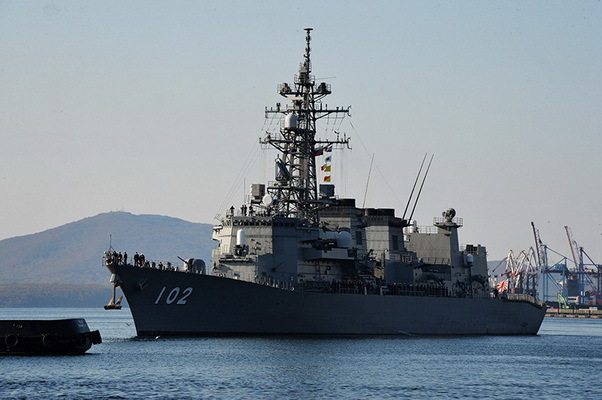 The five-day visit of the detachment of the ships of the Marine Self-Defense Forces of Japan to Primorye has come to an end, the Pacific Fleet (Pacific Fleet) press service reported. “On Tuesday, a detachment of ships in the structure of the destroyer Kharusame and the training ship Kasima left the main base of the Pacific Fleet, the city of Vladivostok,” the report said. It is noted that during this time the Japanese delegation met with the head of the city and representatives of the Pacific Fleet Command. In addition, for the crews of foreign ships conducted study tours. Also comradely matches took place in football, volleyball and table tennis, where in the stubborn struggle the seamen-Pacificers won. In turn, residents and guests of Vladivostok were able to visit Japanese ships. Previously, Japan’s ICSO ships visited Vladivostok in 2014.